Miriam Moore-Keish ’19 and Kavya Shetty ’19, the members of The Red Whisk. Photo by Kasia Majewski ’19. From bluesy ballads to upbeat country songs, songwriting duo The Red Whisk places grocery stores in a whole new light for their listeners. Miriam Moore-Keish ’19 and Kavya Shetty ’19 formed The Red Whisk this past January and decided to write songs exclusively about grocery stores, setting it apart from the average band. So far, the band has written “Trader Joe’s”, “Whole Foods” and “Target.” Moore-Keish and Shetty originally conceptualized of a cooking show titled The Red Whisk, named after Shetty’s red whisk. However, after their first batch of cookies came out “sub-par,” they decided that forming a band was a better fit for their skills. 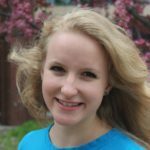 Both women are classically trained in music and have participated in various musical shows, as well as choir, during their time at Macalester. This semester, however, neither of them are in choir or any musical shows, so they have found a new way to express themselves. “The Red Whisk is a wonderful creative outlet,” Shetty said. When I asked the obvious question, “Why grocery stores?”, there was a hesitancy to answer as The Red Whisk thought about its choice in theme. After “Trader Joe’s”, a country ballad about bringing one’s honey to the grocery store, it just became “our thing,” Shetty said. Their favorite product from Trader Joe’s is creamed honey, which they reference in the first line of “Trader Joe’s”: “I’m just tryin’ to make some money so I can buy me that creamed honey.” They credit Shetty and Linnea Fox ’19, their housemate and manager, for introducing Moore-Keish to creamed honey, inspiring this first song about a grocery store and setting the stage for their theme. Songwriting is an uplifting and supportive process for Moore-Keish and Shetty. Composing and singing songs that they don’t take too seriously helps them avoid conflict, no matter how silly their ideas are. “It stems from our friendship,” Moore-Keish said about their creative process. They start with rhyming, then Shetty sings and Moore-Keish sets the words to chords on her ukulele in their living room. They credit their friends with motivating and supporting them throughout their songwriting process. Photo by Kasia Majewski ’19. All three of The Red Whisk’s songs have distinct styles. “Trader Joe’s” leans towards country, “Whole Foods” is a singer-songwriter ballad that laments high prices and “Target” is a bluesy song about losing a loved one in the large store. The members of the Red Whisk describe themselves as exploring different styles and experiencing a journey in creating their sound. 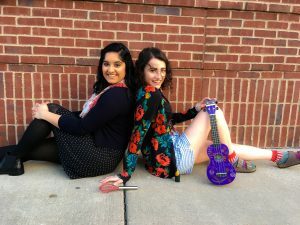 All of their songs have a somewhat singer-songwriter tone because of instrument limitations; Shetty and Moore-Keish compose in their living room, so they use only a ukulele and kitchen utensils (including the famous red whisk) as back-up instruments. However, they would like to add piano at some point. Although “Target” is a fan-favorite, Moore-Keish’s favorite song is “Whole Foods.” She finds it the most relatable: the chorus is “Whole Foods, whole paycheck, I don’t got any money left” and “got thirty more dollars, better buy some avocados.” She said, “[Whole Foods] leads you on a real journey and there’s hope at the end.” Indeed, the song finishes with Amazon’s purchase of the chain and their promise to lower prices. Shetty, on the other hand, prefers “Trader Joe’s” because of its inside jokes about creamed honey and cambozola cheese, her two favorite Trader Joe’s products, which she ate throughout the interview. The Red Whisk is currently working on songs about Park Liquor and Breadsmith, both recognizable institutions to fellow Macalester students. As they expand their repertoire, they would like to work with a sound engineer to record songs in a more professional manner, though their current versions are uploaded on Soundcloud. 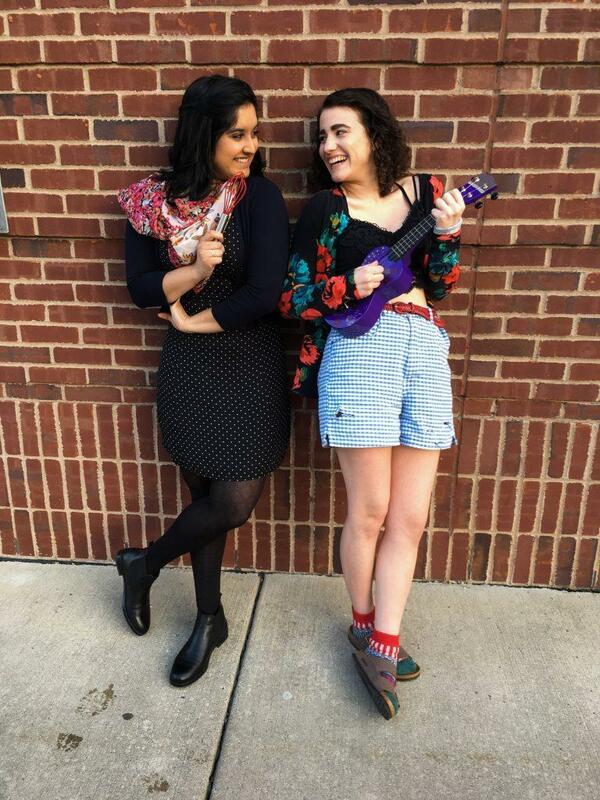 Over spring break, Moore-Keish and Shetty are creating a music video to launch their YouTube channel. In the more distant future, The Red Whisk would love to be featured on “Ellen.” “Ellen is the dream,” both members agree.